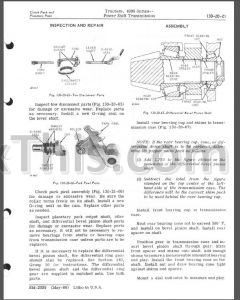 Factory Service Repair Manual SM2039 For John Deere Tractors 4010, 4020. 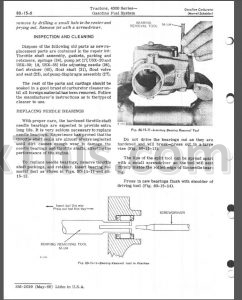 Detailed step by step illustrations, instructions, diagrams for repair procedures, troubleshooting, removal, disassembly, installation, machine specifications, tightening references, maintenance, inspection. Digital PDF format, searchable and bookmarked. If the indicator hand on the temperature gauge goes into the red zone, stop the tractor and clean all dirt and trash from the grille screens and the transmission-hydraulic system oil cooler core. 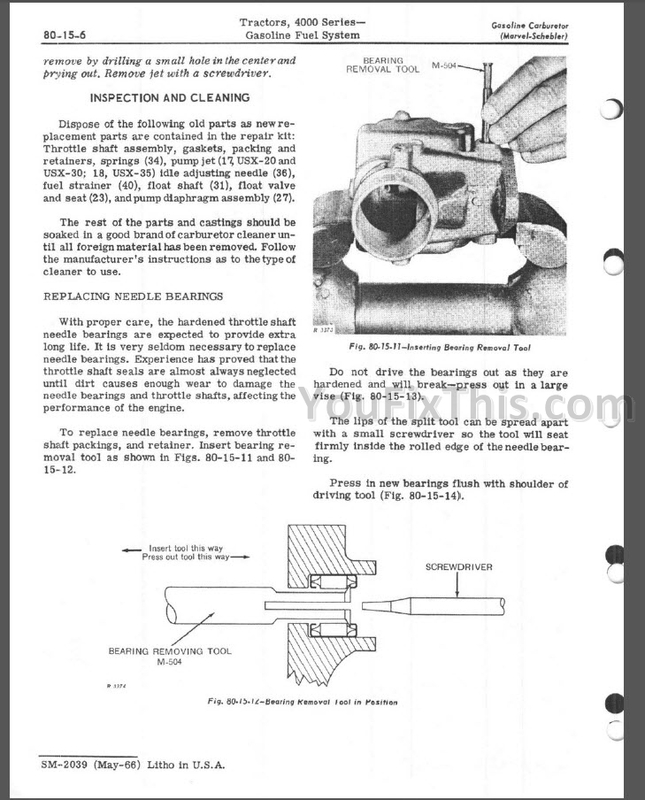 Also check to see that the transmission hydraulic system oil level is in the “SAFE” range on the dipstick. Do not operate the tractor when the temperature indicator hand is in the red zone. When operating the engine at 2200 rpm, the indicator hand on the transmission oil pressure gauge should be to the right of the minimum transmission pressure line. The minimum. safe transmission oil pressure will decrease in proportion to engine speed below 2200 rpm. If the pressure is questionable, check it by momentarily running the engine at 2200 rpm. 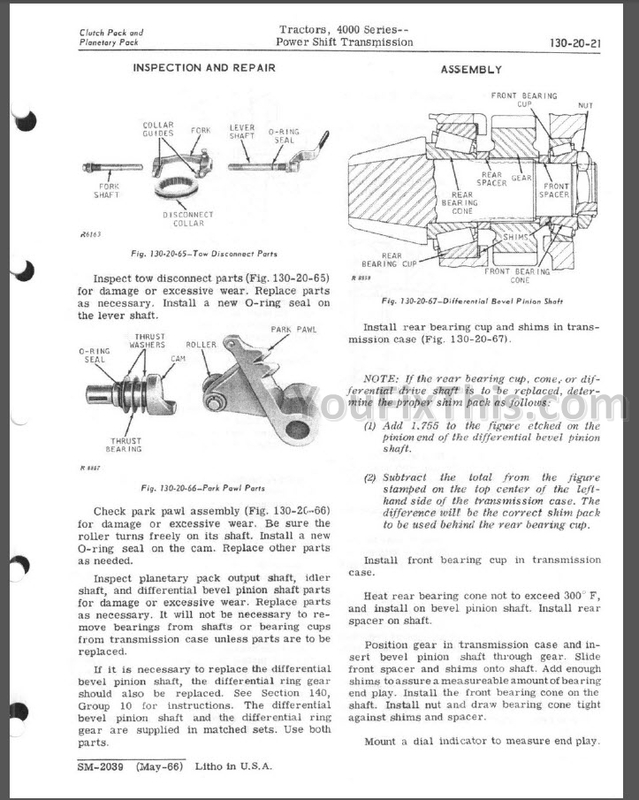 On both row-crop and standard tractors, rear wheel tread adjustment is made by a pinion (located in the wheel hub, which engages a rack on the axle. Extreme adjustments are made by changing the position of the run and tire on the wheel. Row-crop tractors may be equipped with regular-length, long, or extra-long: rear axles. Some 4010 Row-Crop Tractors we refurnished with power-adjusted rear wheels which made it possible change rear wheel tread by engine power without jacking up the tractor. See Section 220 of this manual. Power-adjusted wheels are not available For 4020 Tractors.